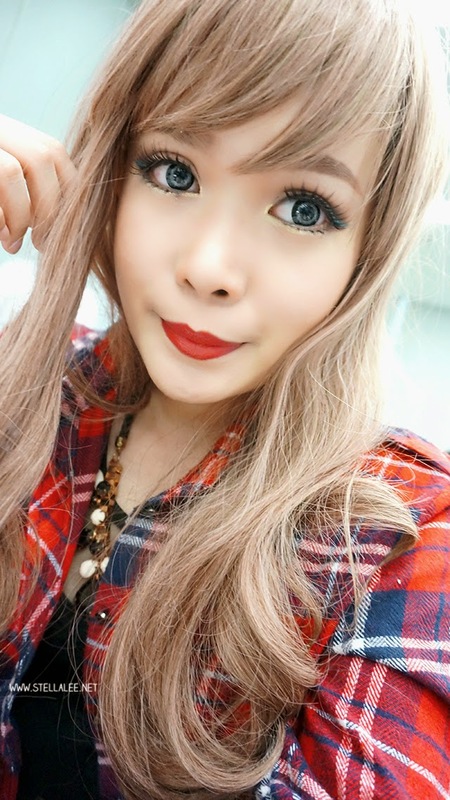 I have here with me B-Eye Milky Way Circle Lens from Sparkling Chix! I love playing with circle lenses because it's just a fun thing do, it instantly gives you a different look by simply changing the pattern of your eyes! The blue colour really pops out and instead of a dark blue, this one offers a bright ocean blue that looks very magical. This one really reminds me of anime eye character too, perfect for cosplay I guess! Milky Way has a great enlargement effect, and also the colour really pops out. The pattern reminds me of anime character because it is somehow looks fake and anime-ish, however the lenses itself is so moisturising and I can wear it all day without having to put eye drops on my eyes!